Cloud offers benefits to organizations of all size -- from improving the level of efficiency to increasing productivity and saving hardware costs. At Opus Interactive, we deliver reliable cloud solutions that make digital transformation simple. 20 years of cloud experience goes into every project to build custom cloud solutions that deliver where, when, and how each customer needs. Our secure cloud solutions are hosted on high-performance equipment housed inside of state-of-the-art datacenters, and backed by SLAs. If you need it, we can do it. Whether its OS support or managing non-core support functions, our dedicated engineers will provide what you need, when you need it. Simply put, the answer is yes. We take a simple six-step approach to digital transformation. From initial planning through continuous improvement, we work with you to ensure that your environment continues to support your critical assets. A shared resources solution that allows you to access your data and applications without shouldering the costs of hardware and software. The OpusCloud is a robust VMware and HPE infrastructure dedicated solely to your needs, where you benefit from full scalability and efficiency while maintaining complete control. A customized approach that utilizes colocation, public, and private network layers to achieve business agility, performance, budget, and data security. An comprehensive cloud solution that optimizes performance by distributing data, storage, and compute process across multiple cloud sources. Comparing OpusCloud, a robust VMware and HPE solution that delivers optimized performance, with AWS and Azure. Using fewer resources on better-performing services can lower costs. Considering price only, and not price-performance, can cause users to may pay more in the long run because they require additional resources to achieve a desired level of performance, or hadn’t factored in egress fees. Finding the right mix is key. The OpusCloud has the scale, performance, and security to meet all of your organization’s needs for computing, storage, application services, and disaster recovery. Available in multiple datacenters across the U.S., the OpusCloud offers you an architecture you can trust, engineered from the ground up for high-performance, incredible flexibility and extreme resilience. VMware vSphere® 6.7 clusters are built on the very latest HPE® Blade Servers for performance and reliability. Disk storage is provisioned on enterprise HPE® SAN clusters for adaptive, high-performance storage needs. Complete RAID 10 and Network RAID 10 for full resiliency. Opus Interactive is a leading VMware hosting provider with multiple industry awards. We first joined VMware’s Partner Program in 2003 and launched the OpusCloud in 2005. From single virtual machines to dedicated private clouds and VMware vCloud Infrastructure as a Service (IaaS), Opus Interactive delivers powerful yet cost-effective cloud hosting solutions that is specifically tailored to the unique needs of each customer. As a member of the VMware Service Provider Program (VSPP), OpusCloud offers a set of cloud computing services across a common VMware vCloud platform, supporting the largest set of existing applications and offering distinctive application mobility uniquely available from VMware. Software as a Service (SaaS) providers use the OpusCloud to deliver the 100% uptime and instant provisioning needed for their software deployments. Small businesses use it to deliver an enterprise class infrastructure while keeping costs down. Larger organizations leverage the OpusCloud to procure fixed cost infrastructure with guaranteed service levels. Whatever your needs, we’ll build a solution that performs the way you need, when you need it. 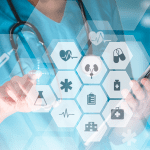 The OpusCloud provides a secure foundation for your business applications, with an architecture designed to exceed business-critical compliance requirements, including SAS 70/SSAE 16, PCI-DSS and HIPAA. 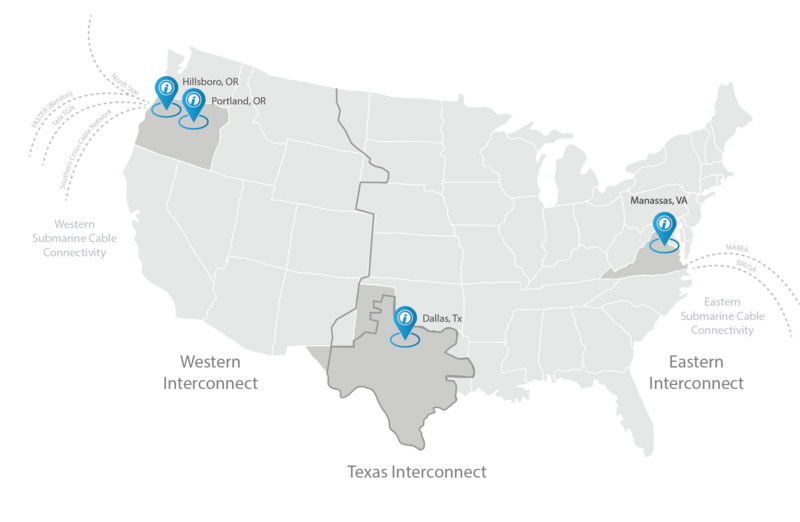 The entire OpusCloud platform is available in multiple datacenters across the US allowing you to build out highly resilient private clouds with true geographic diversity. By moving to the OpusCloud you get an enterprise-class infrastructure for a fraction of the cost. OpusCloud offers a predictable, low monthly fee, so you can remove underutilized server hardware in your infrastructure, drive down internal IT demands and expenses, and focus on business growth. 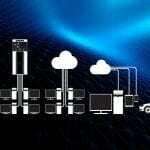 Or, upload your own installation media directly into your virtualized environment. Opus Interactive offers off-site replication targets for your critical data to provide an end-to-end infrastructure solution. In addition, redundant hot standby VMware servers can be configured in alternate data centers to enable not just data restoration, but to restore both applications and business services in the event of a disaster. Our backup offerings utilize Veeam Enterprise backup, offering disk-to-disk solutions for our cloud servers, dedicated physical servers, and bare metal. We offer add-ons to also replicate this backup data to either our Dallas, Texas or Manassas, Virginia cloud-enabled locations. Cloud is a hosting platform that allows customers powerful, scalable and reliable hosting based on clustered load-balanced servers and utility billing. 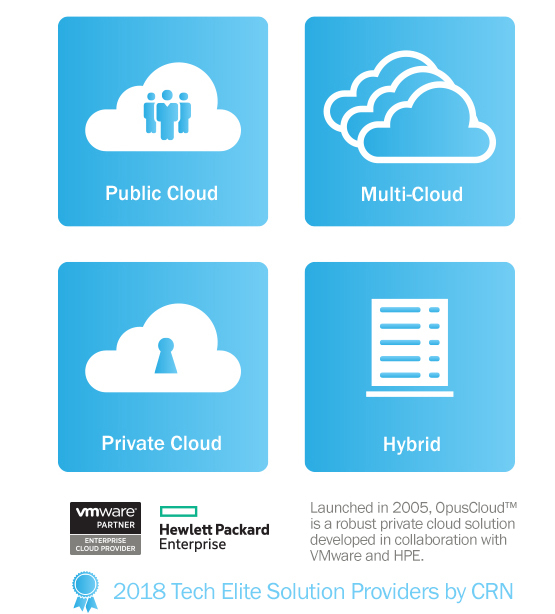 What’s the difference between public, private, and hybrid cloud? Public Cloud – An economical solution based on shared resources, allowing you to access your data and applications without shouldering the costs of hardware and software. Private Cloud – A proprietary infrastructure dedicated solely to your use, where you benefit from full scalability and efficiency while maintaining complete control. Hybrid Cloud – A mix-and-match approach that creates an ideal infrastructure of public and private network layers to achieve business agility, budget and data security. Can I visit the Opus Interactive Data Center? We are happy to arrange a tour of any of our facilities- please contact us to organize a tour of our Data Center during business hours. 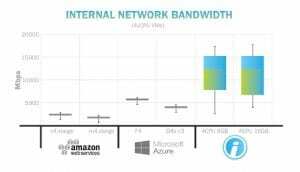 What is Opus Interactive’s Network Availability Guarantee? Opus Interactive guarantees to maintain Internet connectivity to your hosted equipment at 100%. For more information please review our Service Level Agreement. What contract terms are available from Opus Interactive? OpusCloud is available on 12, 24, 36, 48 or 60 month contract terms (variable by datacenter location and size of requirement) – discounted rates are available for longer term commitments – please discuss with your Opus Interactive account manager. Services are also available on month-to-month contract terms. Opus Interactive provides 24/7/365 Support to all Data Center Colocation and Managed Service/Cloud customers. Opus Interactive Support offers assistance via Remote Hands / Smart Hands with on-demand hourly rates or subscription services with committed blocks of hours with 15-minute billing increments. VMware Hosting from Opus Interactive is provided as single virtual machines (VMs), multiple VMs, or entire virtual datacenters, giving you the flexibility to build out exactly the environment you need. You won’t find locked-in processor/memory/storage configurations. You are free to allocate exactly the resources you need for each server, independently of one another. The OpusCloud Hosting platform is built on the latest HPE® blade servers, running high-performance Intel® processors. Each blade is configured with multiple 10Gbe Network interfaces in an N+1 system that operates storage and connectivity. HPE Blade systems are recognized as the worldwide leader in enterprise-class, high-density computing. The heart of any cloud platform is the SAN, and this is where Opus Interactive excels. We operate many clusters of very high-performance HPE storage arrays (HPE 3PAR, HPE Nimble and HPE StoreVirtual VSA), each configured with multiple redundant controllers and 15k SAS drives in a RAID 10 and Network RAID 10 configuration. 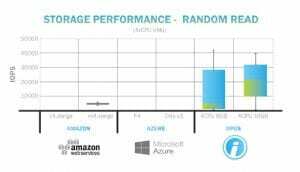 We utilize adaptive optimization with SSDs for performance gains in our clusters to provide higher IOP performance for customers utilizing databases and VDI. HPE is consistently rated as the leading storage provider in the enterprise market. Opus Interactive is an HPE® Partner. Our multi-homed, Arista-built network has been designed from the ground up to be 100% resilient and fully scalable. 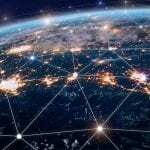 Our core network is deployed in an N+N 10Gb/40Gb/100Gb configuration, which means failures of individual network components – routers, switches, or interconnects – will have zero impact on the availability or performance of the network and your associated services. Opus Interactive utilizes all enterprise VMware features, including VMotion and DRS to deliver 100% availability across the entire virtualized IT environment. Our industry-leading service level agreement offers your money back if we fail to deliver 100% uptime. At Opus Interactive, we live and breathe cloud, but we are equally aware there are times when a physical server or device is required. If you need your existing hardware to live out its depreciation cycle, we can help by offering seamless integration with our cloud platform to achieve the best of both worlds. We are also aware there are times when a colocation of physical owned equipment is necessary. We also offer colocation services from as small as 1U in shared colocation up to full dedicated cages. We offer to then integrate the OpusCloud to your colocation services to integrate the two in a Hybrid fashion on secure private managed cross connects. Opus Interactive offers a range of monitoring software solutions that keep you in informed on how your network is operating. We even offer monitoring for Amazon AWS and Microsoft Azure cloud services for your deployments on their infrastructure, providing you availability, performance, and billing details over time. Opus Interactive offers the full range of Microsoft Server software on a pay-as-you-go basis. We also offer the full range of VMware licensing for hardware that we manage. We provide Cisco ASA virtual licensing, Veeam licensing, RedHat licensing, PulseSecure Loadbalancer licensing and KEMP Loadbalancer licensing as a service to compliment all our OpusCloud offerings. Whether you’re just starting out, or exploring solutions to allow you to focus more intently on your core business, Opus Interactive offers a range of benefits for your business.